I'll be spending a couple weeks camping in Asheville and I want to be warm and snuggly. These fine goods make cold seem cuddly. You're welcome - was seriously coveting it, but it was a tad small for me. On the lookout for its twin, though! 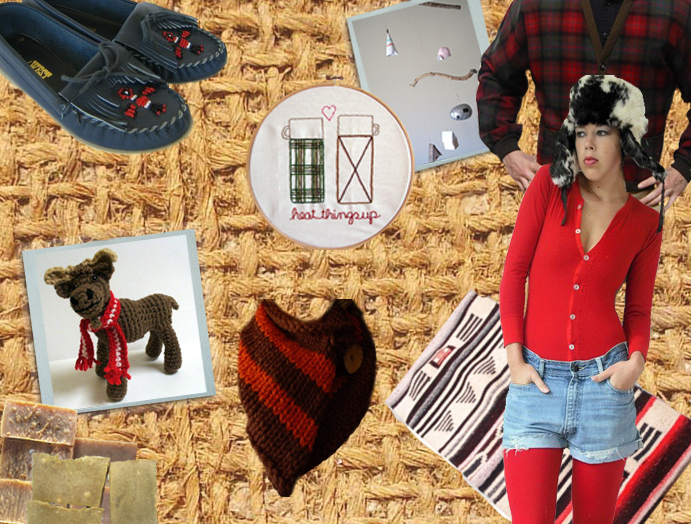 Thank you for including my moccasins on your blog post. Love the warm and snuggly items you have chosen! Very welcome Good & Knitty! Amanda, that is funny - I am just imagining "wild" costumed Disney characters roaming in a faux forest!